Six years ago the producer Cameron Mackintosh presented a fresh new take on the show by redoing the set design and the staging from major changes as in the "Masquerade" number to the revolving huge cylindrical wall that moves, turns, opens, closes and provides a scary staircase that makes the audience hold their breathe as performers descend them. 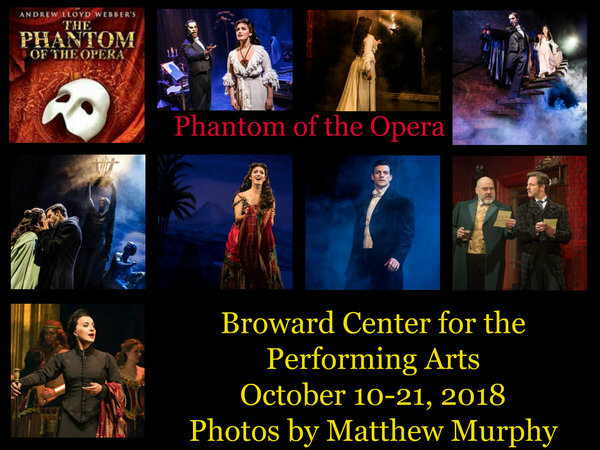 The basic story of "The Phantom of the Opera" is still the triangle between the Phantom, Christine and Raoul and her being controlled by the former but in love with the latter. Jordan Craig, playing Raoul, does the best he can though overpowered by either Quentin Oliver Lee and/or Eva Tavares in their duets or trios. Lee's baritone voice reaches the last role in the balcony effortlessly while Tavares's soprano's voice is fresh, clear soaring when it has to and delicate when called for. Their duets of the title song and "the Point of No Return" almost defies the audience to breath while Lee singing "The Music of the Night" makes you forget anyone else you have heard sing it. The duet of "All I Ask of You" by Raoul and Christine is more than equal to the task of showing their love and, yet, what may be ahead for them. The supporting cast of Anne Kanengeiser, Trista Moldovan, David Benoit, Rob Lindley, Emily Ramirez, among many others including the ensemble, are strong and help move the story along. The orchestra of 16 touring and local musicians conducted by Timothy Splain does justice to Webber's score though at times if Lee and Tavares didn't have such strong voices they may have been overwhelmed with the sound. Sound, at times, is a problem regarding hearing exactly what is being sung but never does one get lost following the story. 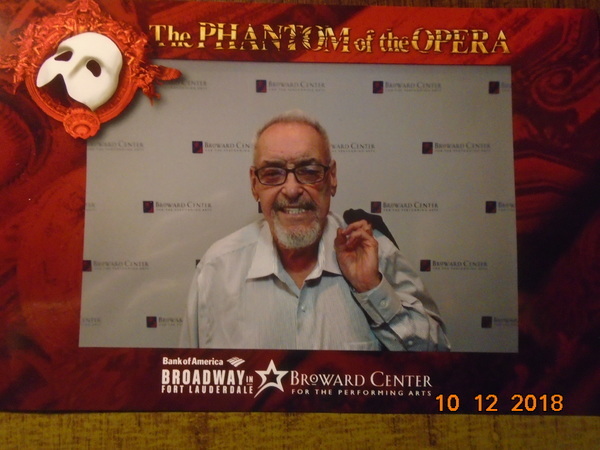 "The Phantom of the Opera" has been running on Broadway for 30 years and last night's performance at the Broward Center for the Performing Arts shows why.